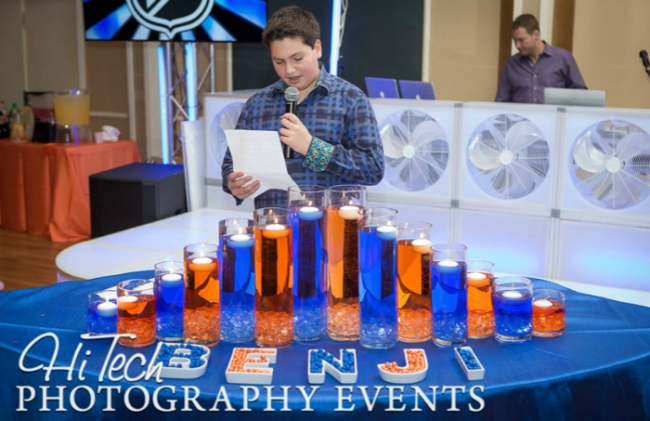 This week’s event spotlight features Benjamin’s Bar Mitzvah which took place at Temple Beth David in Commack, New York. 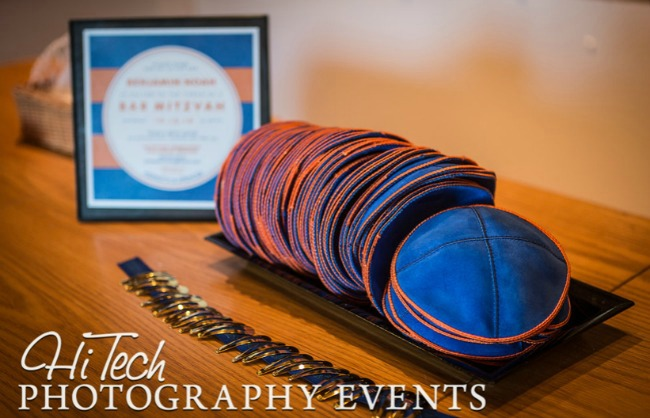 As you may remember from previous blog posts, this Bar Mitzvah is super special to us as the Mitzvah mom for this special event is also a member of the AllSeated team! 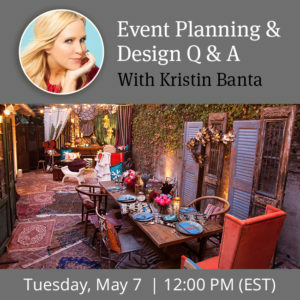 Meredith is here to share the décor details as well as a few more ways AllSeated helped to streamline their planning process. 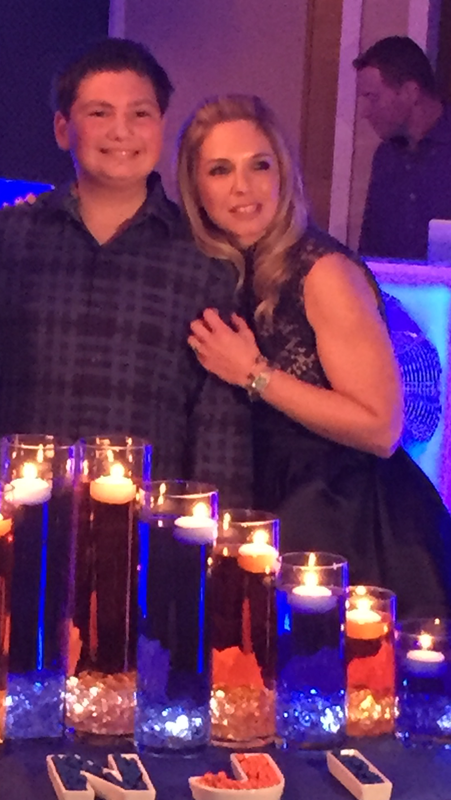 The Bar Mitzvah party was considered more of a “Kids Party” as the guest list was made up primarily of children (close to 100 kids!) with just immediate family and close friends making up the adult section of the room. 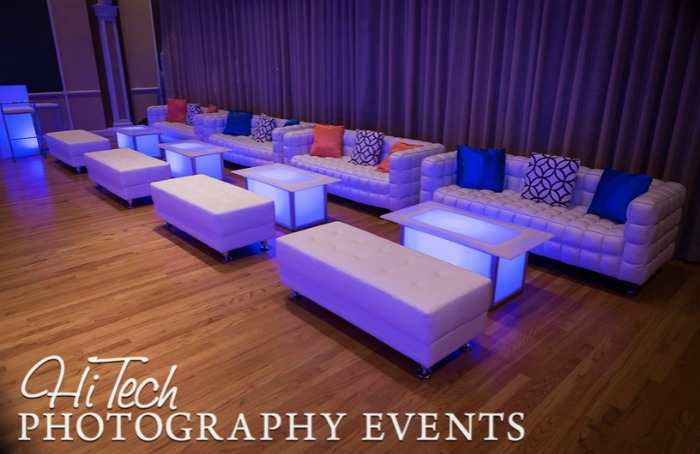 We had lounge furniture brought in for the kids seating and worked with Atlas Event Rental to bring our decor vision to life through the use of their linens in the adult seating area. 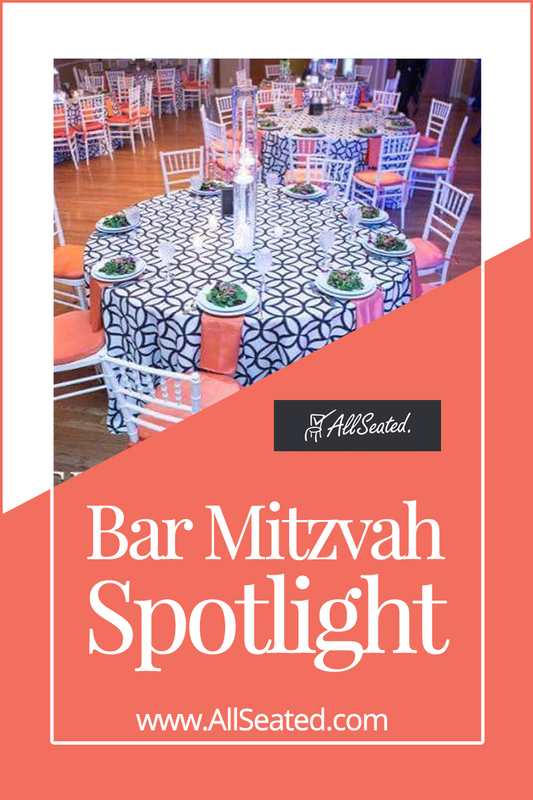 We wanted something cool and different when it came to the linens while also incorporating the color scheme that we used for the logos that were designed for the Bar Mitzvah. 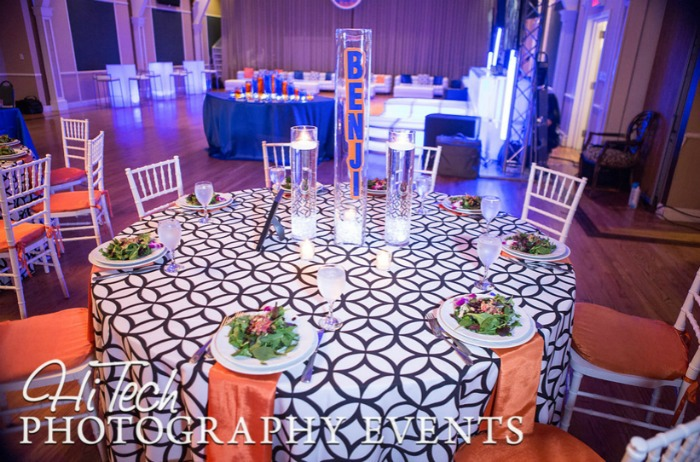 Heather of Atlas Event Rental helped us to select the black retro circle linens for the adult tables while bringing in the pops of orange and royal blue to reflect the rest of the Bar Mitzvah party’s color scheme. We loved the pillows in the lounge because they really tied the room together so elegantly! 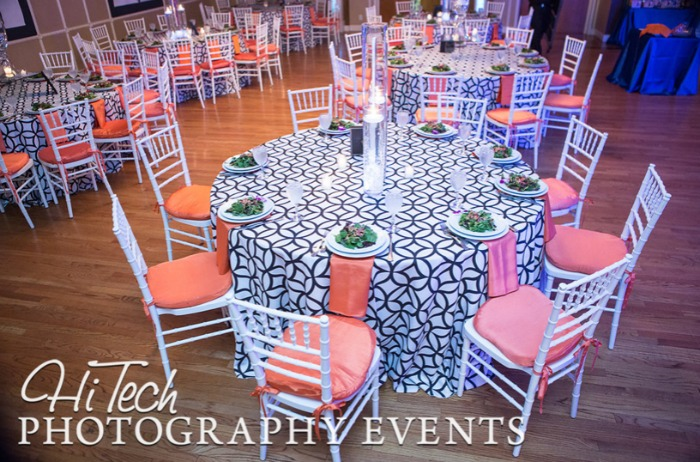 We worked with Hi Tech Photography & Events on simple centerpiece designs that would complement the black retro circle linens without taking away from their beauty. Sometimes people overlook the power of beautiful linens and the overall effect they can have on a party! 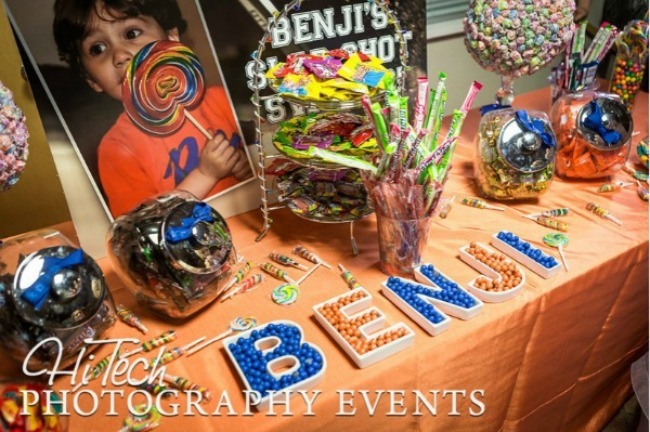 Hi Tech also designed this fun cascading royal blue and orange candle lighting display that paired well with my idea to spell out my son’s name using ceramic dishes filled with coordinating chocolate candies! It’s always awesome when you can find a way to repurpose some of your décor pieces throughout your party. We were able to use the candy dishes from the candle lighting again at the end of the night on the candy table which was available as an exit treat. The kids literally destroyed it with excitement! If there is one major tip that I can give that is so often overlooked, it is to ask your venue in advance if there is a chair with arms that can be used for the Hora. A good, sturdy chair with arms makes all the difference when you are being lifted up so that you can hold on to something and feel more secure during the Hora! The fabulous entertainment was provided by Party Harty Entertainment. They built an incredible stage and the dancers were awesome. 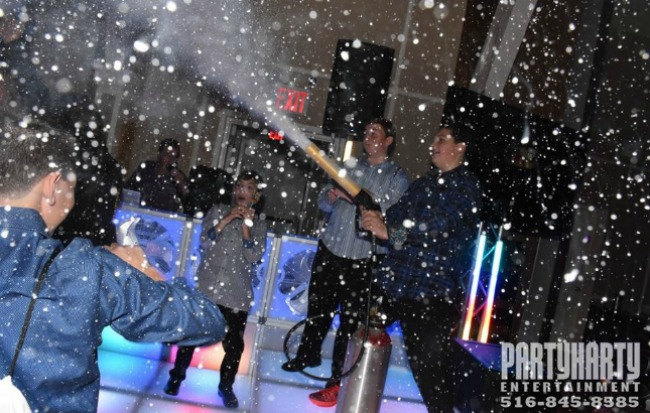 The music and entertainment definitely kept the crowd engaged the whole night which is key when hosting a Bar Mitzvah party filled with teenagers! There’s a Bar Mitzvah tradition amongst the kids that states that the girls will wear their own Bat Mitzvah gowns to the last Bar Mitzvah party of the year. 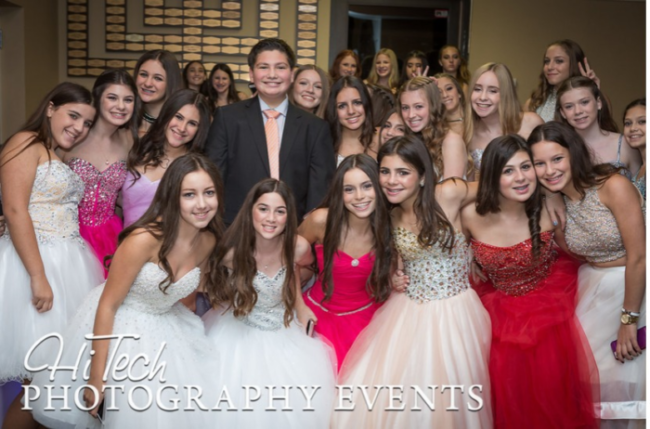 My son’s Bar Mitzvah was made extra special because HE WAS considered the last Bar Mitzvah for his large group of friends which meant we had the honor of seeing all of the girls parade around in their beautiful Bat Mitzvah gowns! Having the ability to build and arrange the floorplan layout in advance was not only super cool but so beneficial. We were able to provide the layout to the team setting up the room and by the time I walked in to view the room for the first time, I already had a great idea of what it would look like based upon the 3D viewing in my AllSeated account. This was key to our planning! 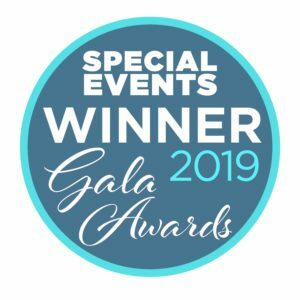 It was great to invite my family and vendors into the account to work in real-time not only on the floorplan and seating arrangements but on building the guest list too. My son entered all of his guests and their mailing addresses which saved me so much time and Hi Tech was able to arrange the lounge furniture in our account to show me what the layout would look like the night of the party. I used the reports feature first to send our guest list to the calligrapher for the invitations and then again when I needed to send the names of the kids to be printed on labels for the party favors. 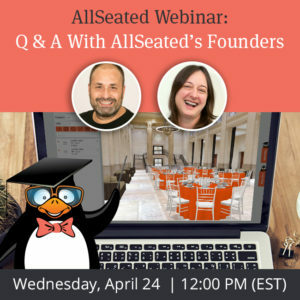 Since we also tracked our RSVP’s in our AllSeated account, we frequently generated reports to see how many guests had responded and took note of who we needed to contact once the RSVP date had passed. I used the comments section for so many things including sweatshirt sizing for each child (the party favors were sweatshirts! ), keeping track of gifts received and thank you cards sent.